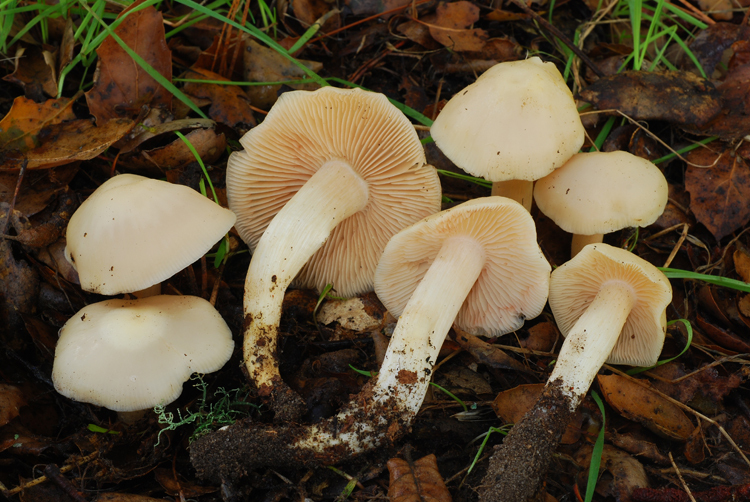 Entoloma is a large genus of poorly-understood mushrooms. Depending on whose taxonomic opinion you subscribe to, this genus is either a medium-large, more or less morphologically coherent group, or an immense and radically morphologically variable aggregation of species. The current trend is in the latter direction (lumping Nolanea, Leptonia, Pouzarella, etc.) into a broader Entoloma. However on this site we have chosen to use a "splitter's" taxonomy, with morphologically distinctive subgroups kept as segregate genera. We feel that convenience for field taxonomists and the relatively distinctive ecology make this decision fairly defensible. Thus, the rest of the information below will deal with the 'core' Entoloma species. The fruitbodies of this genus are Tricholomatoid - no partial veil is present, the gills are broadly attached or notched, and the cap is relatively smooth. The spore deposit, however, is pinkish-tan. 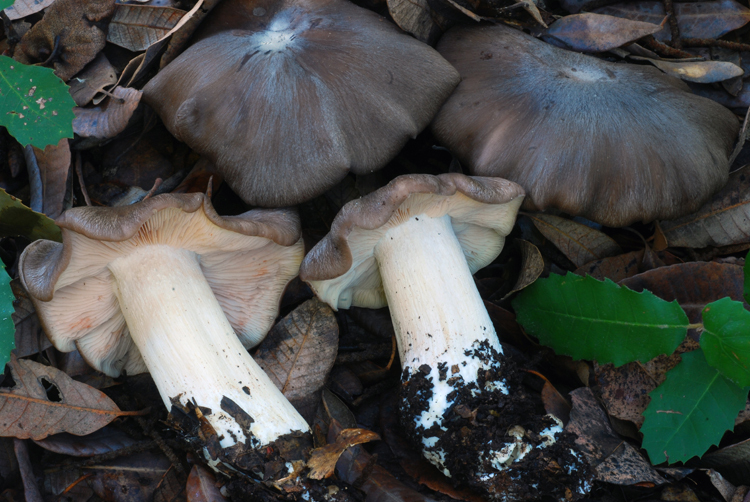 In Santa Cruz county, Entoloma are poorly understood, partially due to the inherent difficulties in telling the species apart, and partly due to the lack of well-structured investigation in our area. 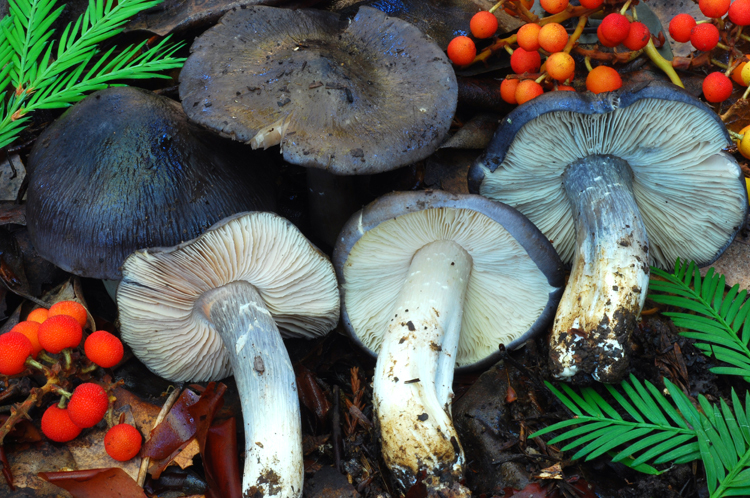 Important identification characters include stature, coloration, texture of the cap, odor, and microscopic details including spore size, shape, and pileipellis characters.